I’ll name 10 bands/solo artists. I've seen 9. Guess the one haven't I seen. I won’t bore you with the details here; I’m sure most everyone has seen it by now. It’s fun. It encourages memories of nights out with friends, exes, roommates, siblings, etc. Naturally, this game conjured up many memories for me. One that sticks out is when my two girlfriends and I saw Deep Purple at the former Circle Campus on Halsted Street circa 1985. The opening chords of Knocking At Your Back Door were perfect music as we literally ran to our seats to watch one of our favorite groups. The three of us spent the evening doing the typical rock-concert arm waving and also wishing we (as non-smokers) had thought to bring cigarette lighters to raise in unison with other concert-goers. Afterwards we spent a good hour looking for our friend who had stepped out early to purchase a concert t-shirt. We looked all over the theatre and finally were the last ones to leave and still couldn’t find her. After returning to our car, we slowly drove around the theatre still searching for our friend who was nowhere to be found. Eventually we had to assume that she found a ride home with her sister, who was also in attendance. Bear in mind things like this happened before cell phones… if you missed a connection with someone, you just called them the next day to check on them. During our search we ran into a fella who was helping clear out the band’s gear. After much coaxing, he relented and told us where Deep Purple’s post-concert party was taking place – just a couple miles northeast, at a hotel on East Ohio Street. We immediately drove over and got excited when we saw the band’s tour bus parked outside. Was this really it? 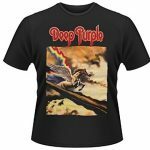 Were we going to meet Deep Purple and party all night with them? We could hardly contain our excitement. Long story short, after sneaking through the kitchen and finding a service elevator we could hear music playing in one of the hotel rooms. Boldly we knocked on the door. This was it -- we could hear people singing the refrain from Smoke on the Water. promptly shut the door in in our faces. So much for our egos. Fast forward years later and my former roommate (yes—she made it home safe) and I attended another Deep Purple concert at the Rosemont Horizon. This time was no different. We still weren’t trendy and cool like the band’s groupies. We were 32-year-old moms who left their little ones at home with their respective fathers. When they checked our purses at the door, my girlfriend had to clear away the bibs and pacifiers for her daughter so the security guard could get a good look for contraband. We sheepishly smiled. Yes, we were still nerds. But we felt more in tune with the 30-somethings who attended the concert. This time we sat in our seats the whole time. After each song, everyone clapped respectfully like we were at the ballet. The audience was surprisingly reserved but we enjoyed the music, waving our arms while others stayed subdued. The second time we didn’t bother with an after party but instead headed to a local dance club. There we met a couple nice fellas who asked us to dance and bought us drinks. It was a nice evening… and no one shut the door in our faces. 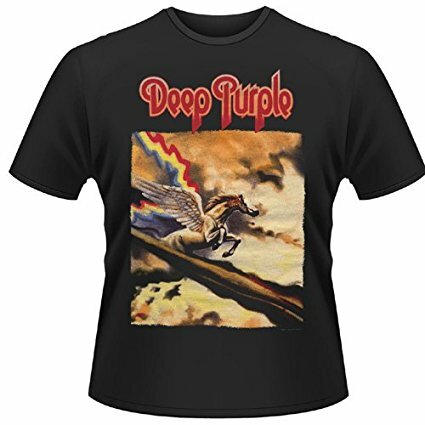 Maybe this time it was the other way around and Deep Purple and the others had finally caught up to us. No longer young and gorgeous but more like us everyday types. At least that's what I’d like to think. I appreciate all comments (all the way at the bottom, keep scrolling...). Like my Facebook page or subscribe to my blog and [see side rail].